The Model B-2000CW Hydraulic Floor Crane is designed without front legs, thus eliminating interference with load lifting or equipment. 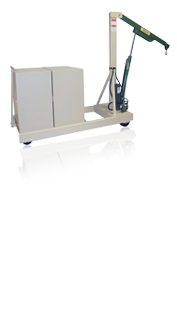 T he B-2000CW includes the counterweight and extension boom at no additional cost. For ease of movement, our crane has phenolic wheels with roller bearings 8" diameter x 3" wide load wheels and 6" diameter x 2" wide steering casters. Weight 3070 pounds (Counterweight = 2400 pounds). 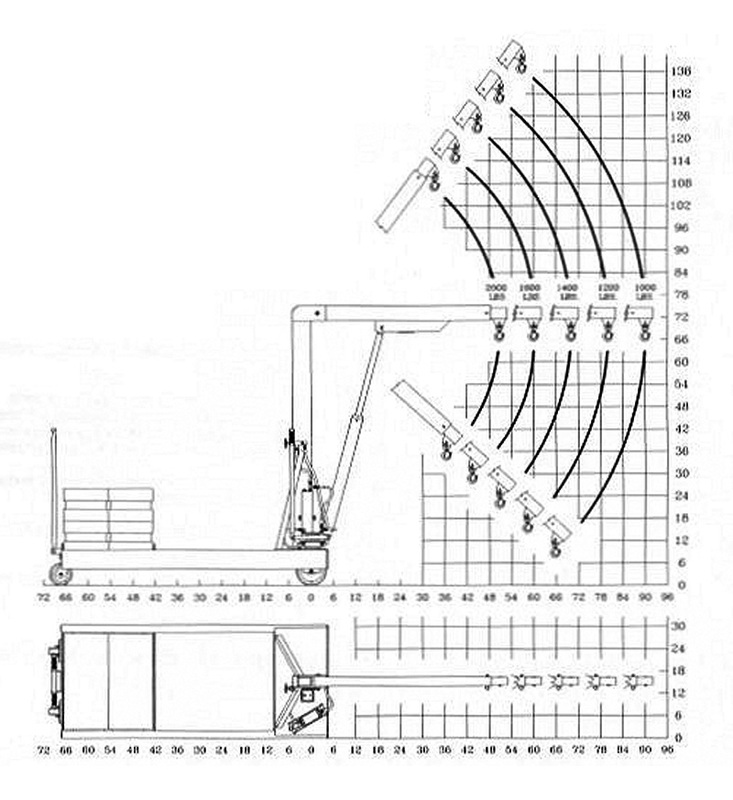 "The Beech Advantage" is a counterweighted crane with no legs out front to interfere with load lifting or placement. The Beech B-2000CW crane comes complete with counterweight and extension boom at no additional cost. Manual 3070 lbs. 51 3/4"
30 1/2" 72" 75 1/4"